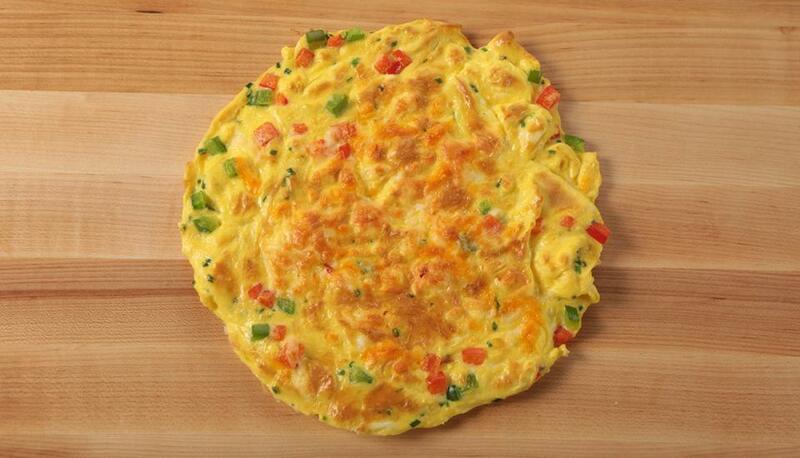 A frittata - derived from the Italian word fritta, meaning to fry - is an extremely versatile dish. It’s fancy enough for fine-dining, hearty enough for breakfast and is the perfect way to use up leftovers from last night’s dinner. Combine that with the fact that you can make one for a whole family in about 10 minutes, it’s pretty clear the frittata is a must for any chef, amateur or otherwise. The frittata is very similar to an omelette, the basic difference is the filling is mixed in with the egg instead of folded. 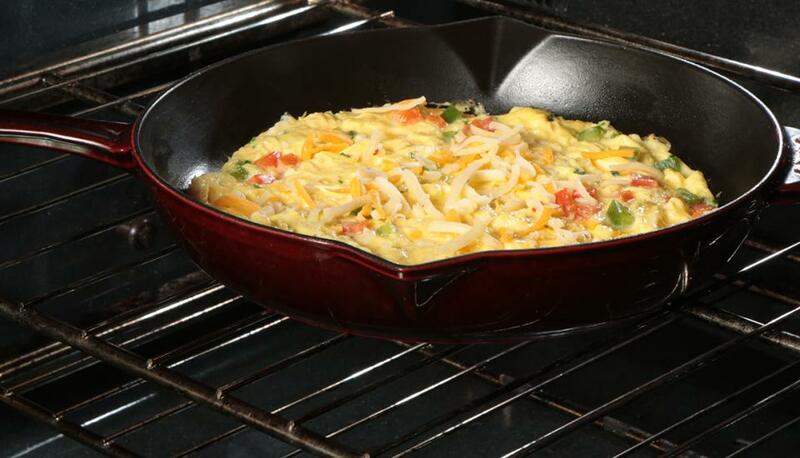 Mostly cooked in the skillet, frittatas are finished in the oven, resulting in a puffy, slightly browned top. Did you know? Organic eggs come from hens raised in a free range system with access to the outdoors. Hens are fed a certified organic feed. Preheat your oven to “broil.” Whisk together the eggs and cream until smooth. Be careful not to over-beat the eggs, as it can cause the albumen to toughen. At the same time, make sure that your filling ingredients are cooked, warm and any liquid is drained. 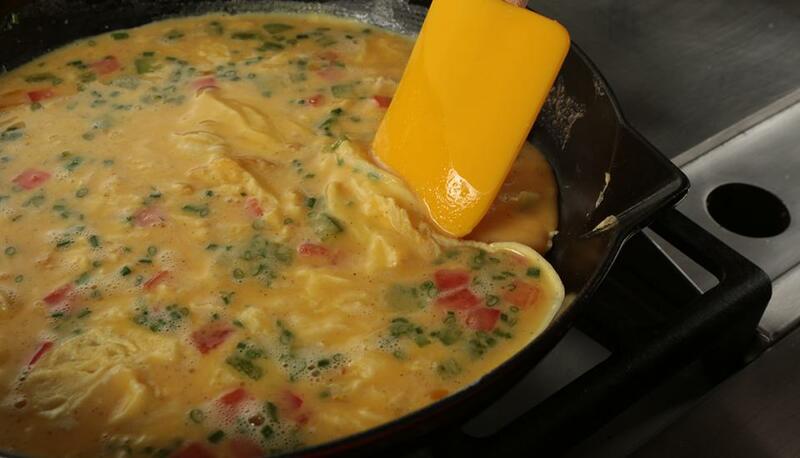 Mix together all of your ingredients with the eggs, saving any cheese until the end. Grease your pan with butter or cooking spray. Pour the mixture into a pan over low heat, and begin moving the cooked egg away from the edges, creating large curds, much like you would with an omelette. When the bottom is cooked, the centre will still be slightly runny. At this point, sprinkle the cheese on top and place under the broiler for 2-3 minutes or until the top is set. 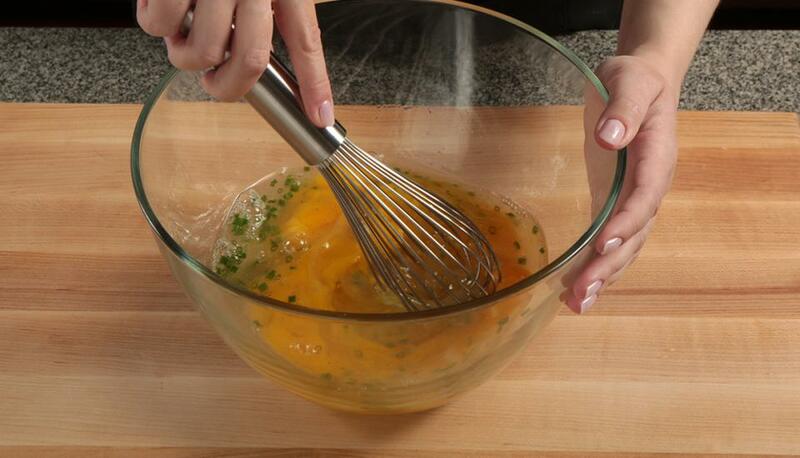 Using a rubber spatula, loosen the frittata from the edges. 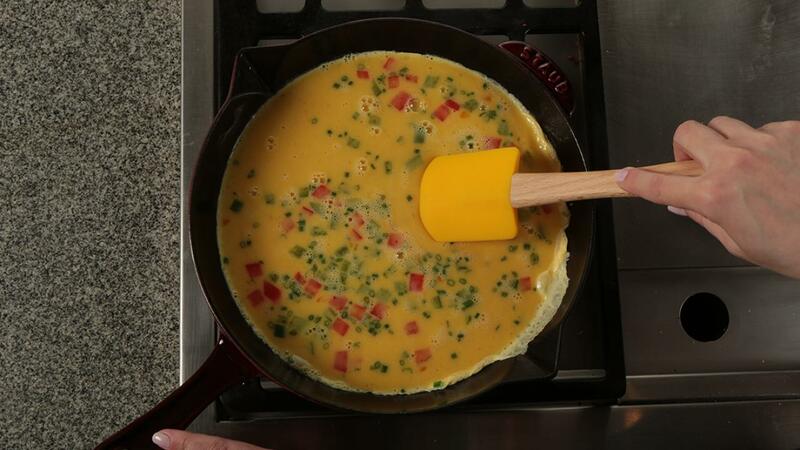 Place a cutting board over top of the pan and invert to turn out the frittata. Let it sit for 2-3 minutes, then cut into slices and serve warm. 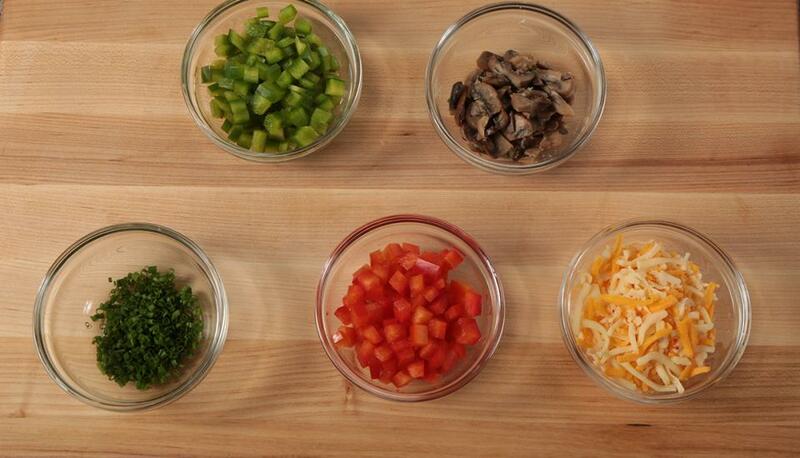 Of course, what you get out of a frittata depends on what you put in. If you’re looking for a bit of inspiration, try our Souffléd Cheese and Mushroom Frittata, our Zesty Eggplant Frittata, or our Baked Parma Ham, Pesto and Ricotta Frittata.